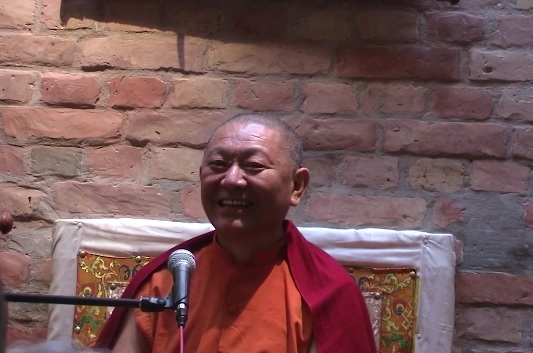 Rinpoche is discussing the topics Love, Surrender, and Trust (here titled as Compassion, Devotion and Trust) at Bodhicharya Berlin. To have a teacher whom you can really trust completely is the greatest fortune. There can be nothing better than that. It is not that easy to make that connection. But it is the greatest blessing. Audio tracks 1-3 are edited, with English only, and 4-6 are with German translation, the same as the video.